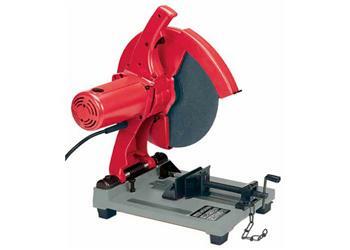 The 6176-20 Chop Saw has a powerful 15 amp motor designed for maximum cutting efficiency, performance and durability allowing for fast cutting of drywall track in bundles, angle iron, conduit, pipe, channels, tubing, and rebar up to a 5 inch maximum capacity. A quick set-up, quick release locking device holds material being cut securely during the cutting process. Material can be angle cut up to 45 degrees. Arm locks down for easy portability when moving this tool to the jobsite. Capacity in Round Pipe 5"
Capacity in Bar Stock 3-5/8"
Capacity in OD Pipe 5"